What are LED Flood Lights? LED Flood lights are some off the most widely used types of lights that are used for outdoor illumination. They are highly effective in illuminating stadiums, fashion arenas, warehouses, buildings etc. Street lights are also a form of flood lights. The led flood light bulbs are highly utilised for the significant amount of lighting they produce which makes them highly suitable for illuminating large areas. The components that are used in flood lighting fixtures are quite different from those in other types of lighting. These lights are highly durable and can withstand all sorts of weather conditions. There are specific types of flood lights known as outdoor flood lights which are metal casting and protects lighting fixtures from high winds, storms, rains, high and low temperatures. Usually, flood light fixtures made for regular outdoor usage. They are normally made from less durable plastic casings, but can bear weather conditions such as hot temperatures, rain and snow. Solar flood lights collect solar energy with the help of a solar panel and store it in rechargeable battery and later use it at night using the energy for powering the light. Normally outdoor floodlights utilise CFL(Compact Fluorescent Lamps), Halogen of light bulbs. LED floodlights also offer a satisfactory quality of light to the area around yards and driveways. Floodlights are also widely used close to buildings and parking lots. As they produce a lot of lights, they are best suited for use as a protective measure to keep criminals at bay and illuminate large areas. What Are The Different Types Of LED Flood Light Bulbs? 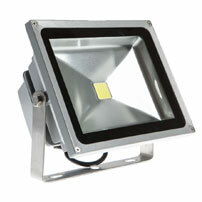 Sodium vapour flood lights have higher energy efficiency as compared to halogen lights. They are more affordable and easy to maintain also. These LED lights work when the sodium vapour within the bulb gets exposed to an electric current. However, the sodium vapour’s heating up doesn’t offer a strong beam of light immediately. As the bulb takes longer than others to acquire full strength, they are not ideal for usage with motion sensor lights and other fixtures which mostly used for security purpose. As compared to other types of bulbs, the light produced from sodium vapour bulbs have yellower shade as compared to others. Therefore, you will need to keep the financial benefits in mind against drawbacks to decide whether it is an affordable option for you. Incandescent bulbs are mostly utilised for illuminating homes using classic filament wire bulbs. Available in a wide range of shapes, sizes and strengths, the brightness of these lights depends on their wattage. Therefore, if you intend to illuminate a large area, then you should opt for bulbs that have a higher watt output. The wattage confirms the bulb’s level of brightness as per their wattage. The brightness of incandescent lights varies according to their wattage. The wattage decides the brightness of the light bulb. Therefore, a bulb with 120 Watts is brighter as compared to a 10W or 50W bulb. However, they have a shorter lifespan as compared to other types of bulbs that are available in the market. HID bulbs have the highest lifespan and have the highest level of energy efficiency in comparison to other flood lights available in the market. Therefore, they are one of the most commonly utilised bulbs for outdoor lighting. These outdoor led flood lights utilise internal ballast for creating an electric arc through the bulb. Therefore, it offers an extremely efficient of light which requires lesser replacements over a long-time period. HID bulbs are more than 90% percent as compared to incandescent flood lights. So, it is an ideal option for people looking for eco-friendly lighting sources. The major issue with these bulbs is that as in case of sodium vapour they take a longer than other bulbs to produce full power. They often take several minutes to get turned on. 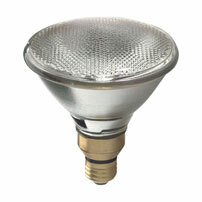 Halogen bulbs are highly versatile and are ideal for indoor usage. These lighting fixtures work when electricity activates tungsten filament and halogen gas in the bulb. They offer a steady, powerful beam of white light. Halogen bulbs have a higher intensity as compared to other bulbs that have the same wattage. So, it is ideal for use in security and decorative purposes. Halogen bulbs offer a powerful performance and last for a longer timespan as compared to its counterparts. These bulbs have a lifespan of up to 2,000 hours or even more. However, halogen bulbs are highly priced as others which are available in the market. They often become extremely hot during usage. Because of this reason buyers need to ensure that they are placed safely to ensure that young children don’t burn their hands. LED floodlights are broad beamed lighting fixtures that are used for providing light to outdoor areas. It is equipped with a parabolic reflector which has a focus point of a parabola shaped reflector. The floodlights bounce the light away from reflector in parallel beams. Most of the LED bulbs available in the market can last up to 50,000 hours. These bulbs also produce maximum brightness within seconds. Therefore, there is no delay once the switch is turned on or a sensor gets tripped. However, they are more expensive as compared to other floodlights available in the market. Moreover, LED flood lights for outdoor are heavier as compared to other normal floodlights and are available in few shapes. Nevertheless, their durability and performance are enough for consumers to make considerable initial investments to reap benefits in the long run. 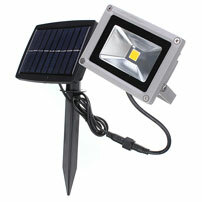 The Solar powered flood lights are the best option for people who want to keep their monthly electric bills in check. However, one major issue with solar powered floodlights is that users often place them in areas that don’t receive too much of sunlight during the day. So, to make these lights work, additional solar panels need to be bought. What are The Advantages of Using Led Floodlights? Led flood light bulbs are known for their long durability. In comparison to normal flood lights, led flood light fixtures have a greater sturdiness and offer a satisfactory quality of service over a long span of time. Once you set a led outdoor flood light bulb, you won’t have to think about replacement over a number of years. Unlike other light sources, these flood lights do not phase out suddenly when nearing the end of their lifespan. They require minimal maintenance. These lights dim out gradually and offers an indication that it is time for replacement. Moreover, flood light fixtures help in ensuring substantial savings and reduce the expenses of people managing warehouses or stadiums. Normal flood lights come with a 5-year warranty and have a lifetime of 50000 hours. One of the main issues with normal flood light bulbs is that they consume a large amount of energy which is converted into heat. The heat produced is waste, since it dissipates it in the air. LED flood lights don’t produce heat and ensure maximum amount of electricity. They don’t lead to rise in temperature and are best suited for usage in cold storage. LED flood lights for outdoor and indoor do away with the need for frequent change of bulbs. So, they help in reducing hazardous wastes. It also consumes minimal electricity. You can save up to 80% on electricity and on electricity costs by using a commercial, outdoor or home depot LED flood light. Therefore, it is a highly energy-friendly light source. Normal flood lights can often be turned on for around 12 hours for seven days in a week. So, you can replace a normal 1500 Watt halogen floodlight which offers a lumen output of around 33000 Lm. You can replace normal flood light bulbs with cost effective LED flood lights with 400 Watt and a lumen output of 40000 Lm. Therefore, you can make high savings in a year using a single light source which offers a higher lumen output. LED flood lighting fixtures are durable and have a long lifespan. They help users to save a large sum of money, effort and time. The LED flood light bulbs are covered in a tough, unbreakable covering which makes breakage resistant. 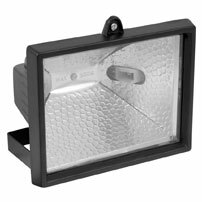 These outside led flood lights are resistant to change in temperatures and environmental conditions. In contrast to other lights, LEDs can be used even in subzero temperatures. This makes them ideal for use in warehouses. The floodlights or you can say led security flood lights are essential for keeping an office safe since the illumination they offer outside the office premises. The floodlights that have a higher lumen make it significantly easier for security guards to handle surveillance cameras while observing the surroundings. It also makes it easy for people to work during night shifts. Light flood light fixtures are much brighter as compared to others. Therefore, LED flood lights have the ability to light up as many as two or three halogen flood lights. Therefore, it will help you in saving your time and money when you consider replacing halogen bulbs. Usage of fewer lights means minimal electricity. Though it is a fact that high power led flood light already use minimal power, reducing the number of flood light bulbs will decrease your electricity bills to a great extent. How to Select Outdoor, Indoor, Commercial, Home Depot, Exterior Flood Lighting Bulbs? Finishing - One major aspect that you will need to pay attention to is the flood light’s finishing. When it comes to finishing, you will come across numerous options to choose from such as copper, stainless steel and coloured lacquer with an aluminium top. If you are doubtful, the best thig that you can do is to opt for a finish which matches and color ad decor of your home. You can opt for dark shades like black since they don’t attract attention. Location - There are three major factors which you need to determine the flood light location within your residence. First and foremost, the outdoor flood lighting fixture needs to be placed in a way so that they produce bright light on the targeted area without producing too much glare. So, to ensure that the light bulbs do not produce too much light, mount the bulbs in the downward position at an angle of 22 degrees. Second, make sure that the flood light is placed at a position from where it isn’t pointed towards a neighbour’s apartment. Last but not the least, make sure that the lights are positioned at a minimum 9 feet from ground to check touching or tampering. Motion Sensors - At present, the motion sensor flood lights are highly popular among home based users because of their affordable price and user friendly nature. They are used in combination with infrared sensors. They usually have a 180-degree range of motion and has the capacity to pick up people and objects which are located up to a distance of 75 feet. Depending on the sensor, the light remains active for around 1-10 minutes before being getting automatically shut off. Therefore, it offers a high level of safety and ensures that there is no wastage of energy in case you forget to tur it off. But before you opt for a flood light which is equipped with motion sensor, be sure whether you need it or not. If your main aim is to keep your backyard safe from trespassing, installing a motion sensor on your lawn could be a wise decision. Colour Quality - The Colour Rendering Index (CRI) is used for measuring colour quality. CRI is used to find out the accuracy with which colours are represented under different bulbs. CRI ratings range between 1-100. A CRI score of 100 means that the bulb produces a broad spectrum of colours. Fluorescent bulbs have a CRI of 70. Halogens on the other hand have a very high ranking, in the upper 90’s to 100. LEDs have a CRI in the range of 70-90. These differentiations exist because of differences in the production process. If you are aware that fluorescent light quality is close to 70 and sunlight is close to 100, you can use these figures and familiarity of those lights to find out how the objects will appear under your preferred floodlight. But make sure that you have a CRI number to do so. Colour Temperature - Colour temperature is the label that is given to the colour of light produced by a bulb. Normally, you will come across ‘’bright’’, ‘’cool’’, ‘’natural”, ‘’warm’’ or ‘’daylight’’ labels on the packages. The ones that come with ‘’cool’’ label are normally placed at the colour spectrum’s blue end which makes them brighter and whiter to naked eye. The ones that are labelled ‘’warm’’ offer a yellowish colour to the eyes. Colour temperature is normally measured in Kelvins (K). Kelvins usually range between 2000-8000K. Halogens and lighting fixtures which have a warm white light label of have colour temperature of 3000K. Cool white lights have a colour temperature between 3100-45000 K. Normally warm bulbs are utilised in bedrooms and living areas since they help in creating a warm ambience. Cool lights are widely used in garages and offices. 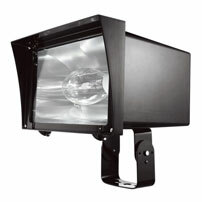 Usage - The manner where you use the lights is the major factor you need to focus on when selecting an LED flood light. White coloured floodlights are ideal for use in a garage and lamp posts. Most of the LED floodlights offer light in one direction which makes them suitable for use as downlights and overhead lights. In case you are looking for a bulb which offers a wider band of light like the one which is used in floor or table lamps. Similarly, if you intend to dim your lights, you will need to look for LEDs that are dimmable flood lighting. Why Buy LED Flood Light Bulbs Online @ Moglix? At Moglix, we deal in an assortment of home depot, commercial, outdoor, indoor flood lights from brands like Bajaj, Havells, Urja Lite, Best Deal, EGK, Home Decor etc. We offer numerous types of bulbs and lighting accessories. Shoppers should. Buyers can make the product search process less time consuming by filtering the results and verify a flood light model before buying. We offer buyers with the facility to perform both general and specific searches, you can use filters like price, condition and location to narrow search results also. Once you have selected a specific flood light, click on the blue hyperlinked text which is next to it. It will bring you to a new page which offers a detailed description of the floodlight with a purchase option. 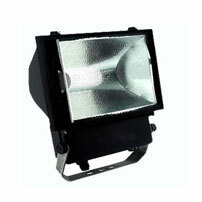 Flood lights are a major investment for any user as long as he or she checks available options before buying. It is essential to keep in mind the initial aim since there is huge quantity of led floodlight bulbs available in the market. During the installation process, you need to pay attention to the fixture’s location. The bulb needs to be placed strategically to ensure that they shine on the planned area and remain out of reach simultaneously.